COMBI KID A suit for each age. 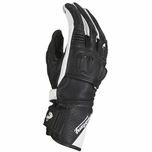 Main external material : premium leather, strong, flexible and High Tenacity bi-stretch. Cotton/Kevlar fiber reinforcement on the hips and seat to improve leather resistance and delay heat transmission caused by abrasion. 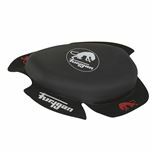 Furygan's new childrens' range solves the problem of finding decent, protective garments for young bike lovers. The Kid and Junior leather suits offer the same high quality as our adult clothing, so you can be sure your child is protected. A suit for each age.